While looking for some post Christmas birthday presents in Boots I found the range of man cleaning stuff that I bought in a summer sale was now in a winter sale. Although they didn't have the moisturising one that seems to agree with my skin they had some new ones - and at half price they were only slightly more expensive than the usual things I'd buy. Interestingly they contain quite a lot of ingredients that we more commonly associate with high performance energy drinks, and the packaging looks like it was designed by Tony Stark. First up we have a charcoal wash with a magnetic effect. Interestingly they have trademarked Magnetic for use In this context. This is interesting because the product is not metallic, the things I have on my face are non metallic, and no magnetism is involved. Soap works because water bonding to one side of it causes the other side to attract grease and so it becomes much more effective than just water. There are probably science words associated with this kind of bond, but I've long forgotten those. I'm pretty sue there isn't any magnets involved. 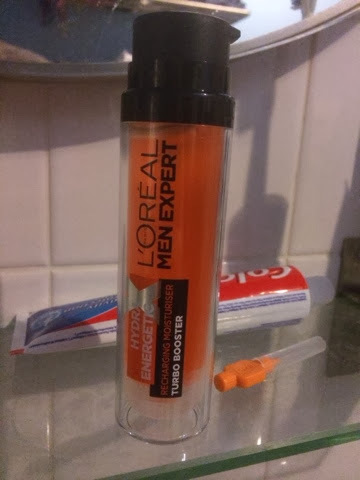 This acts like a face pack for men. The mud-like charcoal can be put on like war paint to Freak ones partner out, and then washed off to make your face clean. As with most decent cleaning products you can get away with using far less of this than a cheaper version so it seems to last for ages. I think I preferred the moisturising one (now demoted to travel bags to use that last little bit) but this is a fair replacement. Next up we have the super serum. This is essentially an expensive moisturiser, or a cheap aftershave depending on your view of the world. The odd, but cool, vacuum tube like packaging helps with the space age feel and it's a pleasure to use. It makes your face feel tingly and cold when you put it on, and leaves behind a smooth and moisturised layer that is slightly tacky but fine for everyday. The question is, what does the food in this actually do? As well as the advertised taurine and Vit C there is menthol and mint, which are the cause of the cooling sensation - the bit that makes it feel like it's working. I'm not aware of being hyper stimulated in the mornings since I bought it - if anything I'm more tired - but my skin has been ok. 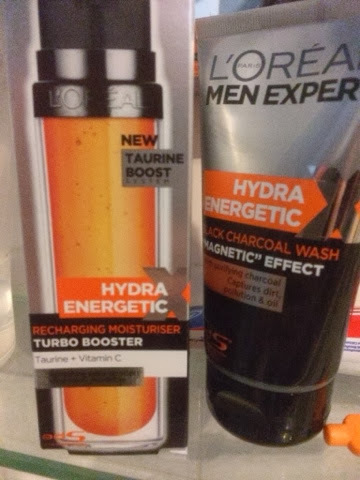 I think that like the packaging the taurine and vit C are there to catch the eye and fire the imagination - after all when not in the half price sale this is £15! It does smell nice and would travel very well so I'd only recommend this to someone who needs to appear more awake and refreshed and pleasant smelling than they ought to be after a long trip or heavy night out.